The new full frame 30.3 megapixel, Canon EOS R expands optical possibilities through its revolutionary large diameter mount, latest DIGIC 8 processor, advanced Dual Pixel CMOS AF. 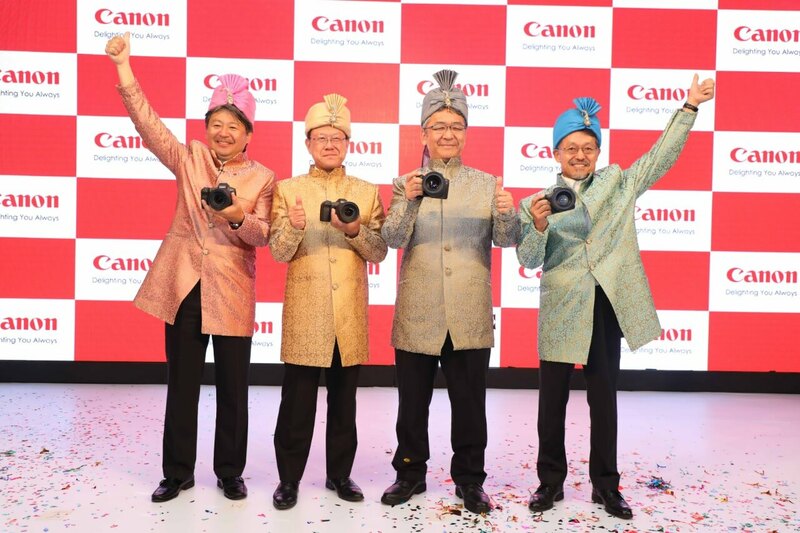 India, 21st September 2018 - Continuing its commitment to innovation, Canon India announces the launch of its latest innovation in the imaging industry-the EOS R system. This technology is the orgnanisations extention to the three decade old legacy of the path breaking EOS system. The EOS R is Canon’s first 35mm full frame CMOS sensor mirror less camera that features an electronic viewfinder. Equipped with various other pioneering features like advanced Dual pixel CMOS AF, Digic 8 imaging processor, High density AF points positions, Multi function slider bar, Flexible AE Mode, High speed data communication RF mount, the camera is set to become the future of imaging and bring forth to users an epitome of image quality never seen before. The EOS R system is perfect for the agile filmmaker, offering responsive lenses and 4K video recording. Focus accurately and record smoothly with Dual Pixel CMOS AF and Movie Digital IS on EOS R to achieve high quality footage with Canon Log, 4:2:2 color sampling and 10-bit recording format. The new RF lenses are a step towards the future, providing extremely high image quality never seen before. In addition to the focus ring and zoom ring found on conventional EF lenses, RF lenses also features an additional new control; ring to which users can assign exposure adjustments. The sales for RF24-105mm f/4L IS USM will start from mid October 2018. The sales for RF50mm f/1.2L USM will start from mid October 2018. The sales for RF28-70mm f/2L USM will start from December 2018. The sales for RF35mm f/1.8 MACRO IS STM will start from December 2018. The sales for EF-M32mm f/1.4 STM will start from mid October 2018. The sales for EF400mm f/2.8L IS III USM and EF600mm f/4L IS III USM will start from mid October 2018. The sales for Mount Adapter EF-EOS R will start from mid October 2018. The sales for Control Ring Mount Adapter EF-EOS R will start from mid October 2018. The sales for Drop-in Filter Mount Adapter EF-EOS R will start from next year. With the introduction of gamut of products, Canon is also providing an *INTRODUCTORY OFFER of 1 additional battery (LP-E6N) and 1 Mount Adaptor (EF-EOS R) along with the purchase of EOS R body or EOS R kit (with RF24-105mm f/4L IS USM Lens).